My name is Evan Payne. 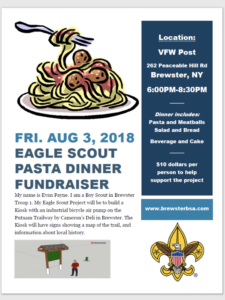 I am a Boy Scout in Brewster Troop 1. 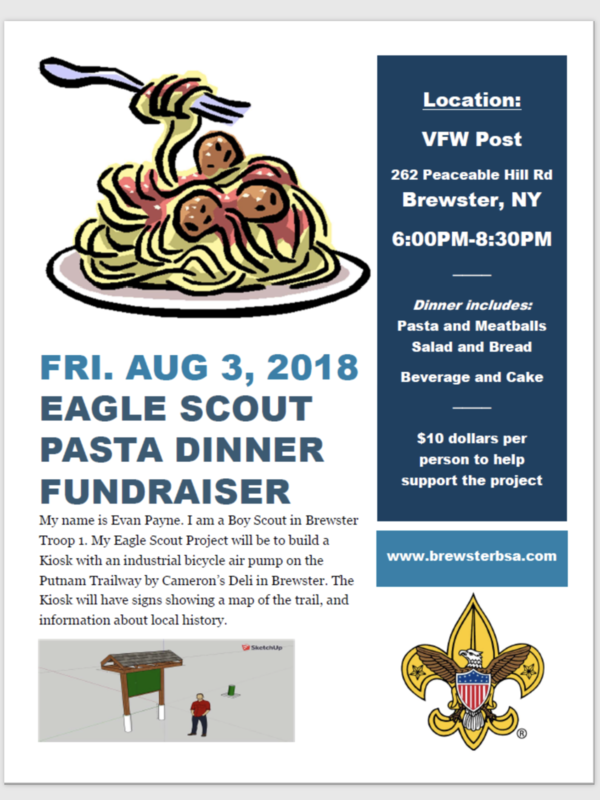 My Eagle Scout Project will be to build a Kiosk with an industrial bicycle air pump on the Putnam Trailway by Cameron’s Deli in Brewster. The Kiosk will have signs showing a map of the trail, and information about local history.